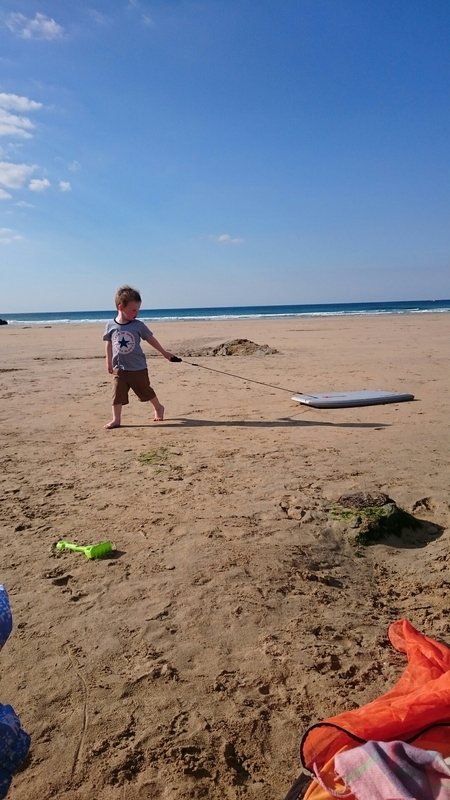 We have recently returned from a week in Cornwall. It was all sorts of glorious, mainly because the weather was an utter dream. Given we were holidaying across the end of September and into October, I had packed waterproofs, wellies, child friendly games, copious patience and a bottle of Gin. We were prepared for rain, wind and hail. 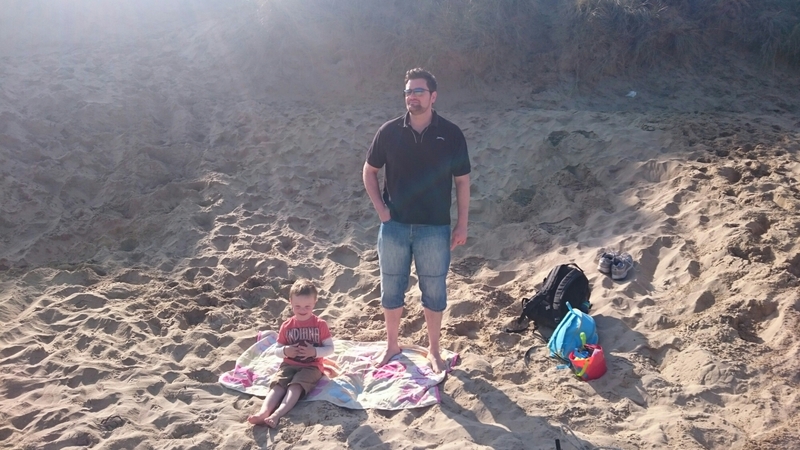 Now something rather magical happens when you take a three year old to a beach. Something that does not happen anywhere else as far as my parenting experience to date leads me to believe. YOU GET A FREAKING BREAK. There is a definite element of same-old-shiz-different-location when it comes to holidaying with a small child. They will still wake in the night. They will still refuse food. You will still be on active parent duty. But get them to a beach and something wonderful happens because the beach dishes up a full day of entertainment with relatively little parental intervention required, by virtue of having sand and water and probably ice cream. And so whilst one of you is on duty, building sandcastles or obligingly climbing a rock to be a lighthouse, shouting BEEP BEEP BEEP I’M LARRY THE LIGHTHOUSE and swinging your arms round like a lunatic while Blake the Boat navigates the rockpool around you, the other gets to do whatever the heck they like for anything from 10 – 40 minutes dependent upon your child’s level of absorption in their current game. You could have a little snooze! Take photographs of the landscape! Have a little walk along the shore! Read a *gasp* chapter of your book! For that time, the beach is your oyster. 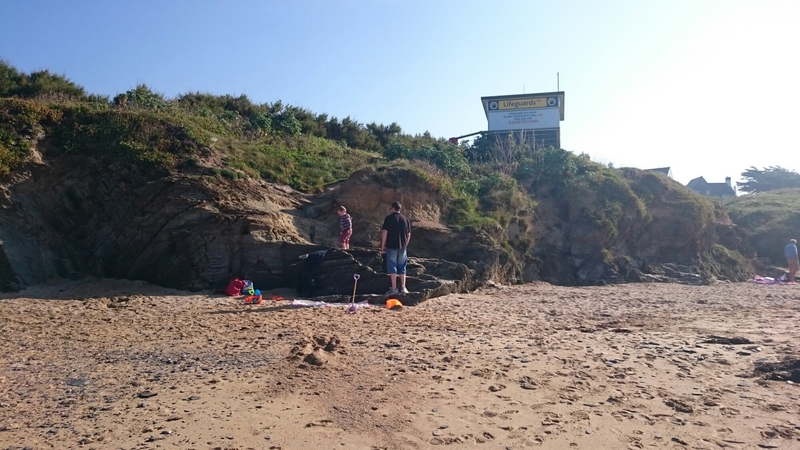 And the other joy is that you need relatively little kit beyond a bucket and spade, a couple of changes of clothes for your child, towels and suntan lotion; because the beach is the world’s greatest natural playground. There are, however, a few truths I will tell about a three year old and the beach, just so you can be completely prepared. – Children very quickly figure out that really the very best and most brilliant way to be on the beach is to be starkers. That expensive, UV resistant, super cute all in one swimsuit you’re eyeing up? Ditch it. There will be utter resistance to it from the minute they step toe in the sand. You should also get over any qualms about your child wearing not a stitch. No-one else cares. Every child of a similar age will progress to various stages of undress over the course of the day. – You should consider buying the least sticky suntan lotion you can find. Banana Boat do a good one that quickly dries to powder. Because there is a window of approximately 40 seconds between applying said lotion and your child flinging themself full body into the sand and rolling. And probably then shouting loudly MUMMY THERE’S SAND UP MY BUM HA HA HA HA SANDY POO. – Buy double the usual bubble bath/shower gel to remove said sand. – Practice your lighthouse impressions. Poor renditions of The Lighthouse Family will not be tolerated by your child and will make any gigantic great woolly dogs (of which there are many in Cornwall it seems) run at you howling. – It is unlikely that you will spot a massive Jellyfish in the shallows of the sea. Do not freak out and start shouting loudly about A MASSIVE JELLYFISH RIGHT HERE just because some arse has left a Tesco carrier floating in the shallows. Just use the eyes you were born with, identify it for what it is, and then pick it up and save your dignity. – You will need to buy a new spade on average every 2 days as your child repeatedly attempts to excavate huge rocks that have been lodged in the sand since the dawn of time, only to find that cheap plastic does not fare well against hardened cliff-face. – Suspend your nerves. Let them explore. They will want to scale near-vertical sand dunes. They will want to climb rocks. They will want to jump into rock-pools. And actually, so will your husband, who can fully indulge his inner child whilst being on hand to ninja in at the first sign of trouble. And that’s it really. A whole host of memories are right there, just waiting to be made, at a beach near you.